One of the most significant changes in modern agriculture has been the move away from mixed farming systems as specialisation has become the norm. But a family run unit in Peebleshire is proving that mixed farming still has a vital role to play. Richard Harrison believes the principle of having a broad spread of enterprises has never been more important as a means of creating a valuable “buffer” to help counter the commodity price peaks and troughs that now pose the biggest challenge to sustained farm profitability. Richard runs a 350-cow dairy herd alongside 750 ewes but he also grows 400 acres of cereals and runs a laying unit of 20,000 birds. “Farming is a long-term business and you’ve got to try and ride out the peaks and troughs as best you can to try and stay profitable. “Running a mixed farm does help; one part of the business helps support another when prices fluctuate but equally there are management benefits too in terms of being able to make the best use of grass and arable rotations and running a clean grazing system for the sheep,” says Richard Harrison of Hyndfordwell, West Linton Peeblesshire. The farm’s 350 cow Holstein herd is grazed whenever conditions allow: “But we are at 1000ft here so we keep the cows inside if the weather dictates,” says Richard. The herd is fed a complete diet with the aim of growing as much of the ration’s ingredients on the farm. Alongside grass silage the mix includes a blend, soya and beet pulp as well as home-grown barley. The herd average is currently 8000 litres at 4.1% fat and 3.4% protein. A new DeLaval 25:50 parlour was installed last summer. Envirobed paper-based bedding manufactured by Envirosystems has been used on the cubicle beds for the last two years after finding sawdust was inconsistent in supply and in quality. “We put fresh Envirobed on the cubicles three times a week. There are mats in the cubicles and we check the beds twice a day, clean off any muck and drag fresh Envirobed to where it’s needed. 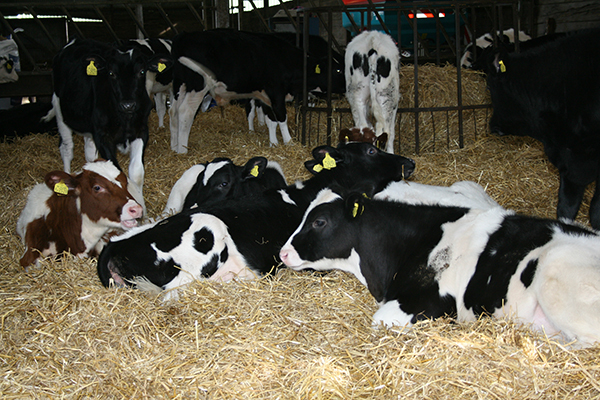 “Cows are not only very comfortable on the bedding but they are much healthier. 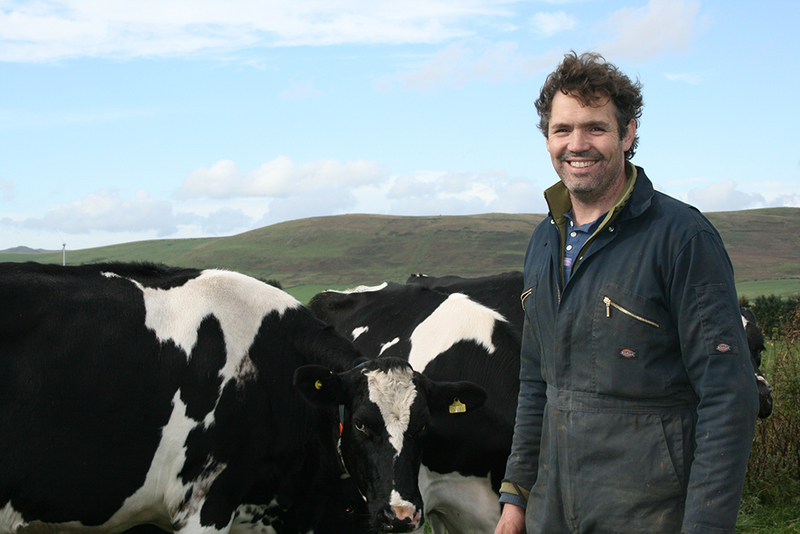 I’m sure the bedding contributes towards our low levels of mastitis,” says Richard Harrison. As well as producing the herd’s replacement heifers the lower end of the herd is AI’d to the British Blue and all the beef-bred calves are finished on the farm. The farm also has two home-bred Aberdeen Angus bulls to run with the dairy herd.